We manufacture these Recycled Products using various kinds of materials and according to the international quality standards. These are available in various specifications and can be customized as per the requirements of the customers. These are highly demanded in the markets for their durability, efficiency, utility in various applications in different industries. We offer these products at affordable prices in the industry. 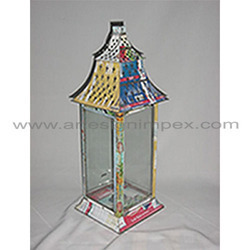 Recycled Colored Tin Lantern is available in various designs, colors and can be custom made as per the specifications of the clients. These lanterns are made using superior quality recycled tin materials and according to the international quality standards. Clients can avail these products at affordable prices and are high demand based on their quality, vibrant colors, attractive designs and elegant looks. Packaging Details: Each piece into polybag and 12 pieces into box or As per buyer requirement. 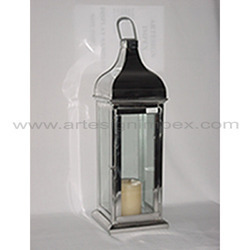 We are specialized in offering and manufacturing Recycled Tin Lantern using premium quality recycled tin materials that are procured from the certified dealers in the market. These are available in various designs, colors and shapes according to the demands of the customers. These are accessed at nominal prices in the market. It is widely appreciated for its eco friendly nature, superior quality, traditional designs and attractive looks. Packaging Details: Each piece into bubble wrapped and into individually box or As per Buyer requirement. Looking for Recycled Product ?